03.06.2011 » John Carew: "Cristiano Ronaldo was better than Messi this season"
The Norwegian striker John Carew, previewed tomorrow's clash between Norway and Portugal, by first saying that Cristiano Ronaldo did better than Lionel Messi in the 2010-11 season. CR7 finished the season with 54 goals and Messi got just 1 goal behind, with 53 goals, but both players deserved the highest praisings possible from John Carew. Portugal and Norway will have an important match tomorrow, for the Euro 2012 Qualification stage and both teams believe in their own chances to win the match. John Carew showed to be very confident about the game, but reckonized that Norway will need to have some luck and also expects that Cristiano Ronaldo isn't very inspired tomorrow. The game will be broadcasted live, here on ronaldo7.net. John Carew noted that Cristiano Ronaldo is on a tremendous moment and he is sure that CR7 will be one of the main threats that Norway will have to deal with, in order to beat Portugal. Carew: "Cristiano Ronaldo did better than Lionel Messi this season. 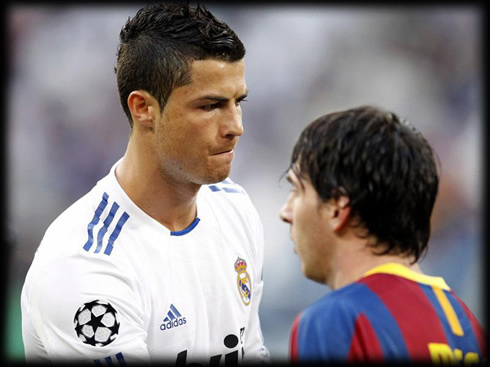 However, I think Messi is the best player in the World, even though this season Ronaldo was better. Cristiano Ronaldo did the best season of his life and it will be very difficult to play against him. I expect a very tough match." John Carew: "Portugal has a great team, one of the best in the World, but we also have our own weapons and chances. Portugal will play at home and will probably have more ball possession throughout the game, but we will have to concentrate on defending very well. I'm confident we'll have two or three goal opportunities and I hope we can score at least one goal." The Norwegian striker started his professional career in a small club in Norway, called Lørenskog, before transfering to Vålerenga in 1997. Being only 17 years, he then helped the club to get promoted to the main division in Norway, the Tippeligaen and won the "Norway Cup". After that, Carew transfered to Rosenborg in 1999-2000, where he scored 19 goals in 17 games and ended transfered to Valencia in the end of that season. In the last years, he still played for clubs such as AS Roma, Beşiktaş, Lyon, Aston Villa and Stoke City. John Carew also counts with more than 80 caps and over 20 goals when playing for Norway. Cristiano Ronaldo will play for the Portuguese National Team against Norway, this Saturday, (4th of June). You can watch Portugal vs Norway game livestreams here on this site.